Caulfield mare Pilly’s Wish appreciated a break on the breach prior to her last-to-first victory at Moonee Valley. The Bel Esprit sprinter had been sidelined for a year apart from a short two-start campaign in November but she sprouted wings to win the Bunny Measure Twice Hcp (1000m) on Saturday. 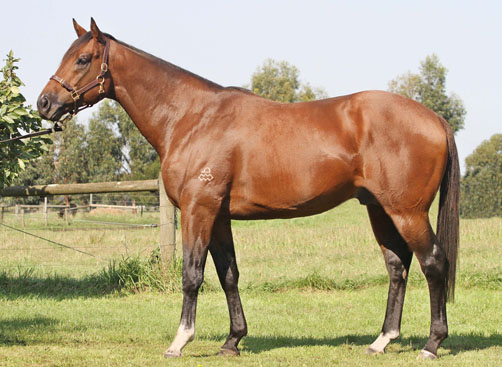 Pilly’s Wish was bred by Modewarre based Bill Cockram at Shadow Glen Stud from Excelvision (Exceed And Excel) who is related to G1 South Australian Oaks winner (Our) Heavenly Body. She is raced by the Maclean family and their lime and navy colours have been carried by G1 Sir Rupert Clarke Stakes winner Orange County. Pilly’s Wish victory in the $40,000 sprint helped her sire Bel Esprit surge clear at the top of the Victorian premiership. His progeny have earned $4.70 million this season – $100k more than Darley resident Reset. Bel Esprit stands at Eliza Park International and he won the Victorian title for the seventh season in a row last year with earnings of $5.56 million. 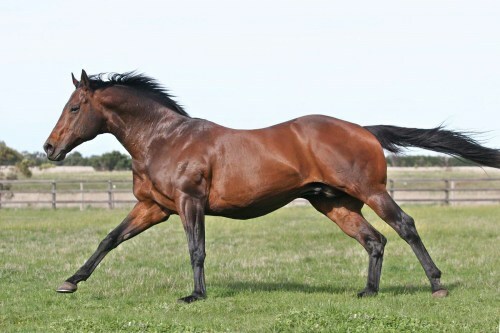 Blue Gum Farm shuttler Canford Cliffs (Ire) sired his fourth early-season winner in Europe on Saturday. 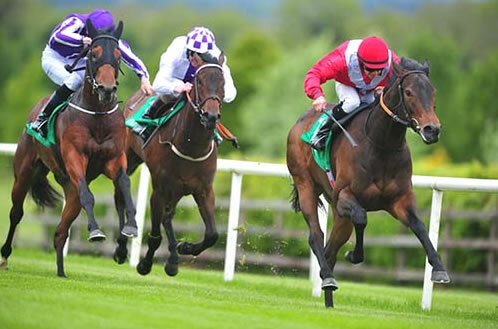 Promising filly Most Beautiful landed plenty of bets when backed from 11/4 into a 5/4 favourite before the Irish Stallion Farms Maiden (1200m) at Navan. She broke smartly to track the leader Love Is All Around and then eased to the front to score by over a length. The winner sports the colours of former Irish rugby star Ronan O’Gara who owns the filly with Mrs Paul Shanahan. “She’s a nice filly and we have always liked her,” trainer David Wachman said. “She’s very big and will be nice for the second half of the year and next year. Most Beautiful (2f Canford Cliffs – Saphira’s Fire by Cape Cross) had finished fourth first-up at Naas in April and she holds Group 1 entries for the Phoenix Stakes and Moyglare Stud Stakes. Her dam won the LR Pretty Polly Stakes at Newmarket and she graduated from the 2014 Tattersalls October yearling sale for 120,000gns (AUD 160,550). Canford Cliffs has joined Zoffany on top of the UK-Ireland first-season winners’ premiership and has firmed into a 6/4 favourite for the title by Racebets. Blue Gum Farm is standing Canford Cliffs for a $13,750 (inc gst) fee in 2015. 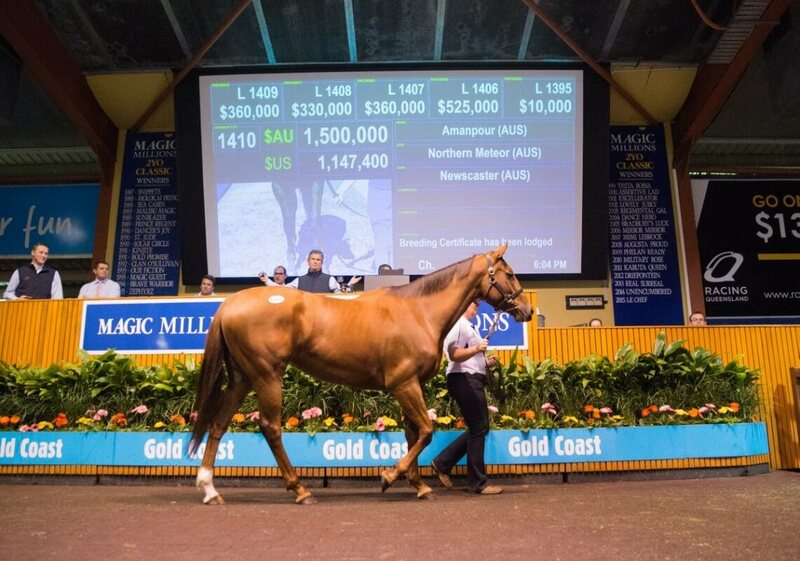 Rosemont Stud owner Anthony Mithen bought 15 mares for a total spend of $4.37 million at the Magic Millions National Sale last week. Mithen boosted his broodmare portfolio at Gnarwarre in conjunction with Blue Sky Bloodstock’s Julian Blaxland. Rosemont will also send Amanpour’s winning three-quarter sister Swing Sensation (Northern Meteor) back to Waterhouse. “They’re blue-chip purchases,” Mithen reasoned. “One is a Group 1 winner and the other is a three-quarter sister to the Group 1 winner. Amanpour was a late-entry by Gooree Stud after the death of the younger brother to Edwardo Cojuangco. Other high-priced buys heading to Rosemont were Ygritte (Snitzel) for $800,000 and Tahni Dancer (Sebring) for $600,000. 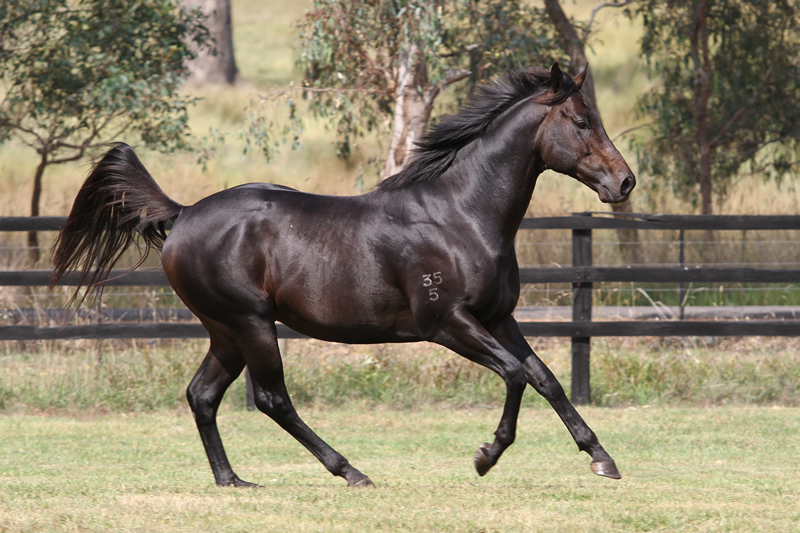 Emerging sire O’Lonhro has produced a pair of very promising last-start winners at Cranbourne and Bendigo. The Geoff Wheeler trained Beau Padrille overcame a tardy start to salute by a soft length in the Beraldo Coffee Maiden Plate (1300m) at Cranbourne on May 22. “He was one of the laziest, slowest things on the track,” Wheeler laughed. “But there was something about him that made me persevere. Beau Padrille (3g O’Lonhro – Caniona by Canny Lad) was placed at Seymour before the breakthrough second-up. He’s a younger half-brother to Flemington stakes winner She Can Skate (Bradbury’s Luck). 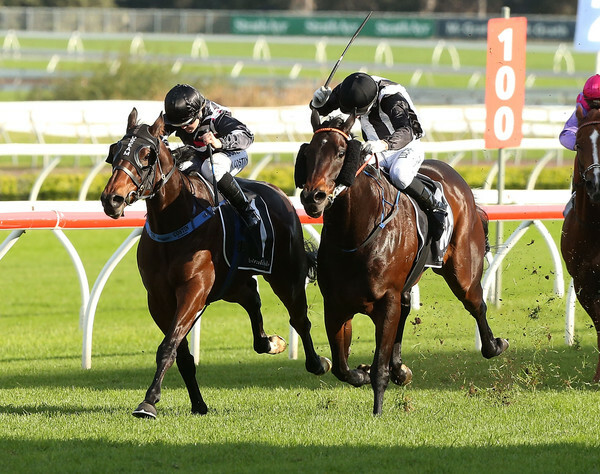 Exciting O’Lonhro filly Lirabird is a perfect two-for-two following wins at Pakenham in April and Bendigo on May 24. She charged home second-up against some nice up-and-comers in the Yalumba Hcp (1100m). Lirabird (3f O’Lonhro – Grand Manners by Grand Lodge) is a younger half-sister to the Adelaide Group performers Lala Roohk (Street Cry) and Waratone (Mossman). They have a yearling half-sister to Ilovethiscity. Larneuk Stud will stand O’Lonhro (Lonhro) for a $5,500 (inc gst) fee in 2015. Meadow Farm resident Delightful Choice sired his first winner when Ballarat-based youngster Automatic Choice caused a $45 upset on Saturday. Automatic Choice (2g Delightful Choice – Missun by Masterclass) was never in the call on debut for owner-trainer Colin Rees at Bendigo in February. But he was never in any danger during a comfortable victory in the Emmetts Maiden Plate (1200m) at Warracknabeal on Saturday. Meadow Farm studmaster Ray Jones bred Automatic Choice – he is the final foal of Missun who won a Cessnock maiden in 28 starts. His NZ bred second-dam Candle Star (Moulton) foaled 7 winners from 8 to the races. Delightful Choice was bred at Arrowfield Stud and is an unraced half-brother to LR Gold Coast Bracelet winner Express Power (Snitzel). Their South African bred dam Ladies Delight, a daughter of Local Talent (Northern Dancer), was a stakes winner at Turffontein and she is a half-sister to the dam of G1 Caulfield Cup winner Diatribe. Delightful Choice (Redoute’s Choice) stood at Meadow Farm, which is situated at Bayles south-east of Pakenham, for a $2,750 (inc gst) service fee last year. Exciting young Street Cry stallion Globetrotter has a new home, the dashing chestnut this spring due to serve his first book of mares at High Point Lodge. Located on 600 acres at Moyhu in Victoria’s fertile North-East, High Point Lodge is run by Alex McDonald who has over four decades of experience with thoroughbreds. And he is doing the job with his runners, from only limited opportunities to date Globetrotter being represented by three smart winners and two promising placegetters from his first eight runners. Jumping straight to the front first up at Devonport recently, the big chestnut Armarni broke his maiden in determined fashion , holding on gamely as the challenges came out wide. Also sire of the promising Harlem Star and Giramondo (who at just his second start in Tasmania on the weekend was a very easy winner) as well as the Rosehill placed Cruentus, Globetrotter has another exciting prospect in the shape of Bundy Red. Finishing off strongly for an eye-catching second at his debut at Bendigo in March, the George Osborne trained chestnut was highly thought of enough to contest the rich Vobis Gold Rush. Such a fan of Bundy Red that he has since purchased another Globetrotter, Osborne noted that his charge has a wonderful temperament. “He is absolutely amazing, especially considering that he is still a colt,” he said. Well aware that breeders are on the look-out for value, Globetrotter’s owner Damian White has put into place a number of cost saving measures for broodmare owner. “We have put together a pretty good package for the breeder on a budget,” White said. For further information on Globetrotter contact Damian White on 0418 477 090. A plan hatched several months ago has come to fruition with Siorca winning the Tasmanian Sires Produce Stakes (1400m). Siorca defeated star filly Gee Gee Top Notch in their latest rematch by a half-neck. Campbell bought him at Aceland Stud’s dispersal sale in November 2013 and later sold shares to former Tasmanian Turf Club chairman Margot Smart and course photographer Bill Hayes. The gelding is from a NZ bred mare Chrome Magic who won her maiden over 2000m on a Heavy 9 at Mornington. She hails from the family of Kiwi Group 1 champion Zonda and her latest foal is a rising 2yo colt by Bianconi. Sharkbite is a son of Redoute’s Choice and is a brother to G3 Up & Coming Stakes winner Scissor Kick. They are members of the outstanding Hasili family that has produced a generation of champions for Juddmonte Farms. Eliza Park International will stand Sharkbite for a $5,500 (inc gst) fee this year. 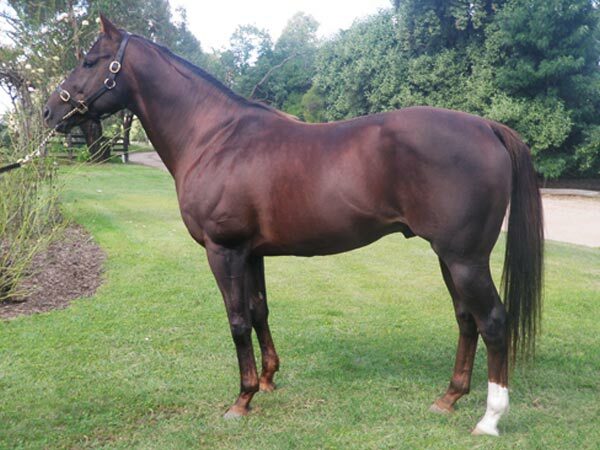 Sydney galloper God’s In Him is beginning to fulfil the potential he showed as a young horse when based in Melbourne. Now stationed at Rosehill with Team Hawkes, he ran down tearaway leader Charles In Charge to nail the Get Well Glenn Hcp (1200m) at Randwick on Saturday. It was his third win since undergoing stem-cell treatment 18 months ago. The sparingly raced gelding showed ability from the outset with placings at Bendigo and Caulfield. Sidelined for most of 2014 after ground-breaking stem-cell treatment, he made a winning comeback in a Seymour maiden last October before transferring to Rosehill. That first full campaign included a Good 3 win over a mile at Randwick on New Year’s Day and his versatility was a major factor first-up on a Heavy 10 in Saturday’s sprint. Team Hawkes signed a $40,000 sale-sheet for God’s In Him at the 2011 Gold Coast Magic Millions and there have been 3 wins in 9 starts to date for connections. His British-bred dam is a daughter of LR Newmarket Pretty Polly Stakes winner Sardegna (Pharly). God’s Own stands at Greta West Stud and has sired over 200 individual winners at a 56% strike-rate. First Season sire Rock Hero standing at Lauriston Park features on Bred To Win. Rock Hero is a record breaking first season sire by Fastnet Rock from outstanding Mare Gallant Tess. 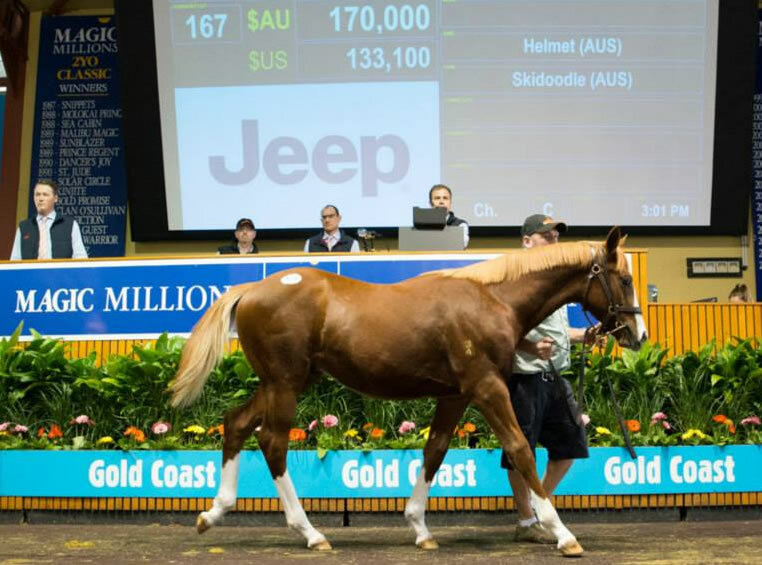 The Wood Nook Farm dispersal provided plenty of fireworks at the Magic Millions National Foal Sale and several other Victorian based studs and stallions were popular with buyers on the Gold Coast. Rosemount Stud sensation Starspangledbanner kicked off proceedings on Sunday morning with Lot 1, a colt from Hadronica that made $130,000 to Melbourne syndicator Brad Spicer. That result rubber-stamped the decision to increase Starspangledbanner’s fee to $44,000 (inc gst) this year. Eliza Park International staff were kept busy with a draft of over 60 foals from their home base and as agent for Heinrich Bloodstock. Among the more expensive was the Bel Esprit filly that made $100,000 to Graeme Rogerson on Monday afternoon. The Kiwi trainer prepared her older half-sister Jacquetta to win the 2014 LR Welcome Stakes at Riccarton. Bel Esprit started the weekend on a high with news the dam of G1 Doomben 10,000 winner Boban will be among his mares later this year. 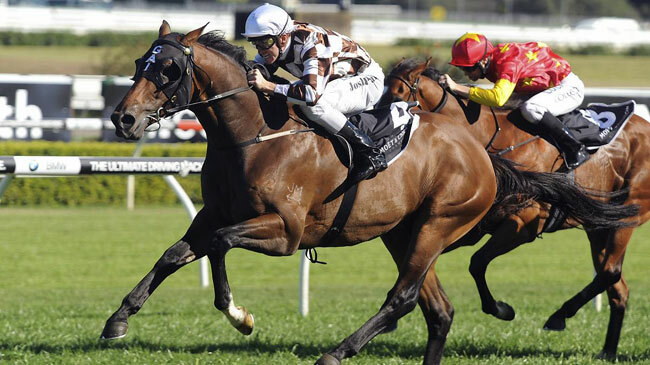 The EPI champion will also cover G1 Golden Slipper winner Merlene. Lauriston Thoroughbred Farm received a tidy return when NZ pin-hookers Regal Farm paid $170,000 for the Helmet – Skidoodle colt. He is a half-brother to stakes sprinter Tudor and continued the positive response to Darley Victoria sire Helmet at the yearling and foal sales this year. Lauriston Thoroughbreds also sold a Pierro colt from Moonee Valley winner Emilydelago for $110,000 to a Victorian client of Magic Millions. Pierro was the leading first-season sire at the National Foal Sale and Musk Creek Farm owner David Kobritz bought his colt from Sorority Girl (Stravinsky) for $240,000 from Buckley-based Erinvale Thoroughbreds. Kobritz had purchased Pierro for $115,000 at the 2010 National Foal Sale and then pin-hooked him for $230,000 at the 2011 Magic Millions Yearling Sale from his property on the Mornington peninsula. The Lonhro colt swept the 2012 Sydney 2YO Triple Crown and was syndicated to stand at Coolmore Stud in a deal reported to be worth more than $20 million. Blue Gum Farm shuttler Canford Cliffs had one filly catalogued and she was knocked down to Melbourne agent Sheamus Mills for $60,000. Her dam is a daughter of Arrabeea (Zabeel) who won stakes races in Sydney, Melbourne & Brisbane. Victorian vendors will be back in force for the Inglis Great Southern Sale starting on June 21. There are 354 foals catalogued during the first two sessions of the four-day auction at Oaklands. 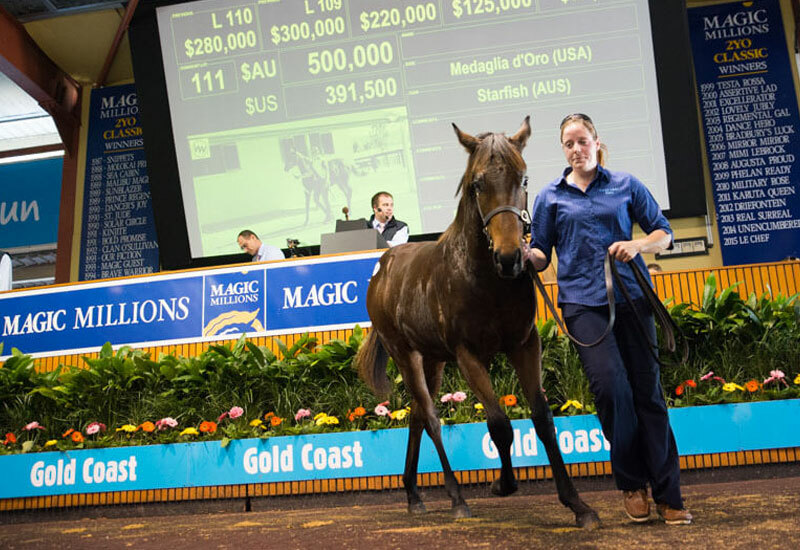 Wood Nook Farm’s dispersal dominated the Magic Millions Weanling Sale at the Gold Coast on Sunday. Owners Bob and Rosemary Scarborough are winding up their Nagambie stud and among the highlights of the Farm’s foals was the Medaglia d’Oro – Starfish colt that made $500,000 to the bid of James Harron. The colt is by Darley’s first-season sire Medaglia d’Oro who has made an immediate impact through G1 Golden Slipper winner Vancouver. He is from a stakes performed Redoute’s Choice daughter of G1 Australia Stakes winner Stella Cadente. Wood Nook also sold a Pierro – Rocha colt ($300,000) to Segenhoe Thoroughbreds, a Fastnet Rock – Slapstick filly ($280,000) to Amarina Farm and a Fastnet Rock – Oh Goodness Me filly ($220,000) to Magic Millions as agent for a Victorian client. Wood Nook has been a thoroughbred nursery for over 60 years. Initially owned by former Test cricketer Jack ‘Slinger’ Nitschke, it was called The Nook Stud and was home to leading sires High Peak, Latin Lover, Orgoglio and Brave Lad. It was also known as Great Missenden Stud prior to the Scarboroughs buying the property in 1994. Canford Cliffs filly Bournemouth Belle was an appropriate winner for the Richard Hannon yard at Goodwood on Saturday. Team Hannon trained Canford Cliffs during a star-studded racing career that saw him win five Group 1 events including the Irish 2000 Guineas and also the Sussex Stakes at Goodwood. He retired to Coolmore Stud in Ireland and shuttles to Blue Gum Farm in Euroa. Bournemouth Belle (2f Canford Cliffs – Ellbeedee by Dalakhani) notched the third win for her sire in the EBF Stallion Maiden Fillies Stakes (1200m). She chased the leaders and ran on well to score by more than a length from Angie’s Girl (Exceed And Excel). Bournemouth Belle cost Gompertz 30,000gns (AUD 57,370) at the 2014 Tattersalls October yearling sale. She is the first foal of a Windsor winning half-sister to Uncharted Haven (Turtle Island) who was a Group 2 winner at Del Mar and Santa Anita. The first Australian-bred foals by Canford Cliffs are rising two year-olds and he will stand at Blue Gum Farm for a $13,750 (inc gst) fee in 2015. 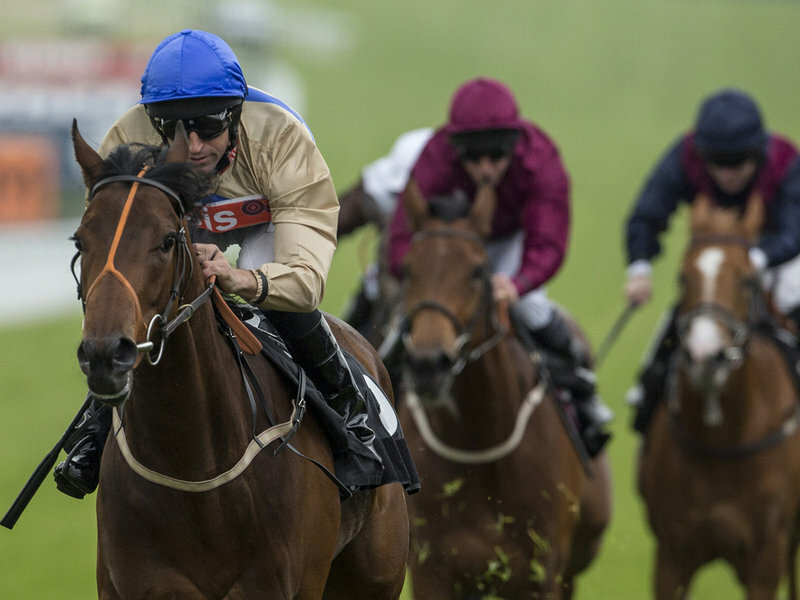 Sur Empire is the latest European three year-old winner by Equiano (Fr) after making all the running in the Central Taxis Maiden Stakes (1430m) at Musselburgh on Thursday. 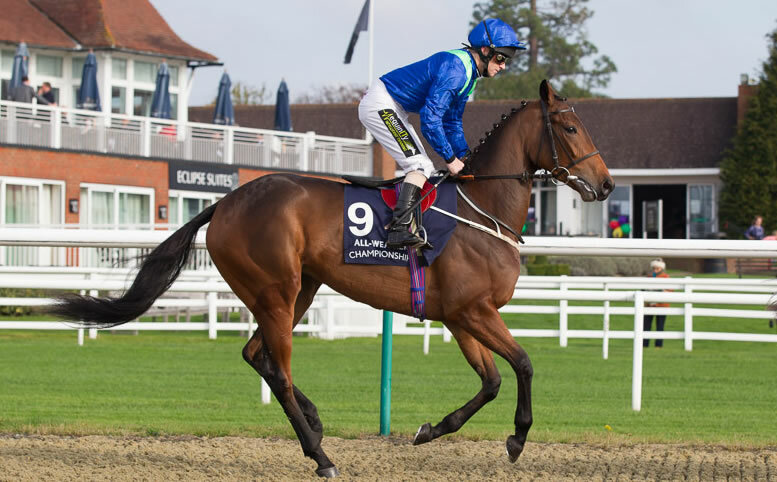 The Mark Johnston trained filly (pictured) was racing second-up for the Kingsley Park Ready To Run Partnership and she scored by more than a length from Cheveley Park filly Postulant. Sur Empire (3f Equiano – Shersha by Priolo) was bred by Sir Eric Parker and made 20,000gns (AUD 41,475) at the 2012 Tattersalls Foal Sale. Her dam was a Listed winner of the Sweet Mimosa Stakes at Leopardstown. Equiano’s initial crop have blossomed as three year-olds and he leads the English second-season winners’ premiership with 13 individual winners, two in advance of Makfi, Paco Boy and Zebedee. The Swettenham Stud shuttler sired another juvenile winner on Saturday when Lydia’s Place spreadeagled her rivals at Catterick. Lydia’s Place (2f Equiano – Peace And Love by Fantastic Light) clocked 58.13s in the Tote Exacta Maiden Stakes (1000m) and the margin between first and fourth was over 12 lengths! 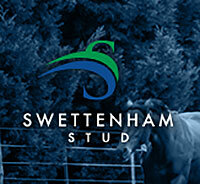 Swettenham Stud will stand Equiano for a $13,750 (inc gst) fee this year. 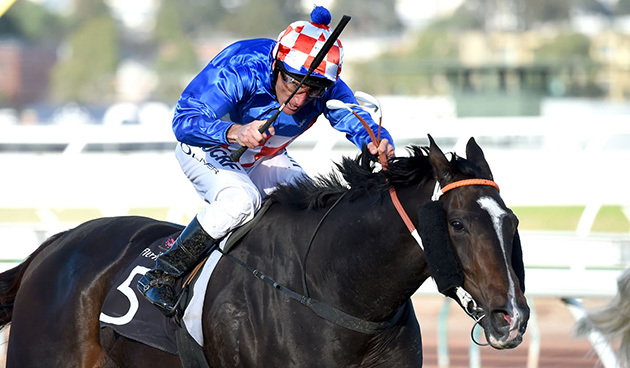 La Amistad will never reach the illustrious status of Makybe Diva but she has staked a claim for this year’s Melbourne Cup after a convincing victory at Flemington. 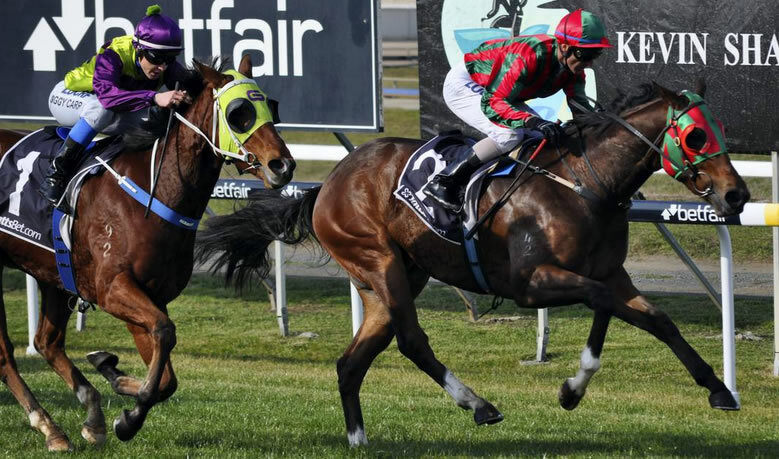 The Team Hawkes stayer is a younger three-quarter sister to the legendary mare and won the only other two-miler at headquarters in the LR Andrew Ramsden Stakes (3200m) on Saturday. 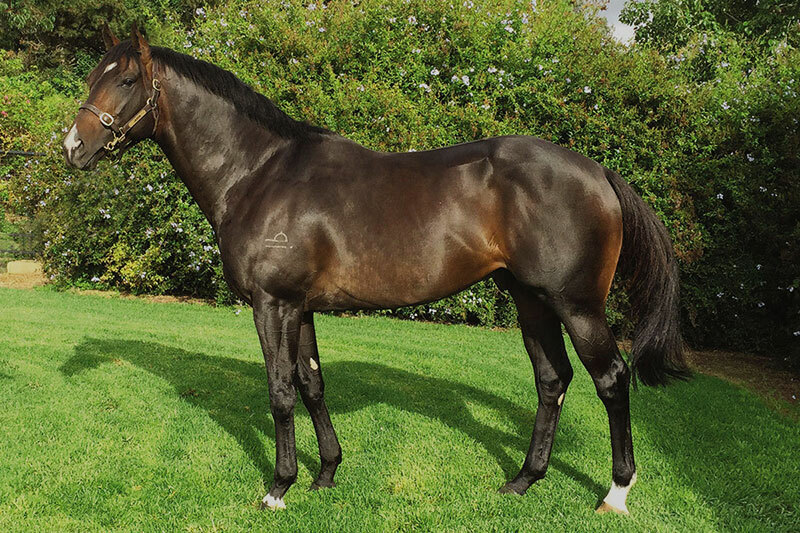 La Amistad (5m Redoute’s Choice – Tugela by Riverman) is a Makybe homebred and failed to reach a $750,000 reserve at the 2011 Inglis Easter yearling sale. She has now won 6 races and $334,740 for owners Tony and Deslee Santic, Micheal Sullivan and GPI Racing. Tugela(USA) was purchased for 60,000gns by Tony Santic at the 1998 Tattersall’s Sale in Newmarket. She died a fortnight after foaling an All Too Hard filly last October. Incoming stallion Cluster heads the Larneuk Stud roster at Euroa this year. Owner Neville Murdoch has set the Group 2 winner’s fee at $6,600 (inc gst) for his first book. He will stand alongside Ilovethiscity ($6,600) and O’Lonhro ($5,500). The trio hail from differing sirelines and have much to offer the Victorian broodmare owners. “We have focused on providing breeders with value options,” Murdoch said. “And I’m confident we have a horse to suit everyone. Ilovethiscity (Magic Albert) was a brilliant winner of the G1 Randwick Guineas and trainer Graeme Begg rated him up there with the best horses he had trained. O’Lonhro (Lonhro) was a record-breaking winner of the G2 Chelmsford Stakes and has sired 9 winners from his first 24 starters. For further information, contact Neville Murdoch on 0418 105 706. 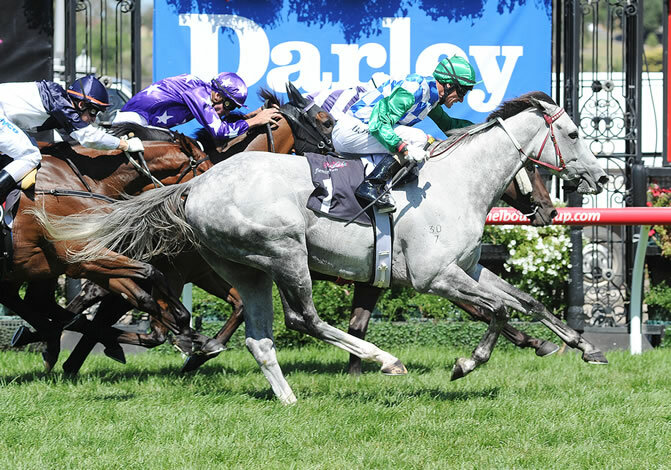 Swettenham Stud has tapped into the all-conquering Shamardal sireline with its exciting new signing Puissance De Lune. Shamardal is blazing a trail at breakneck speed towards 100 individual stakes winners since his first runners appeared in 2009. 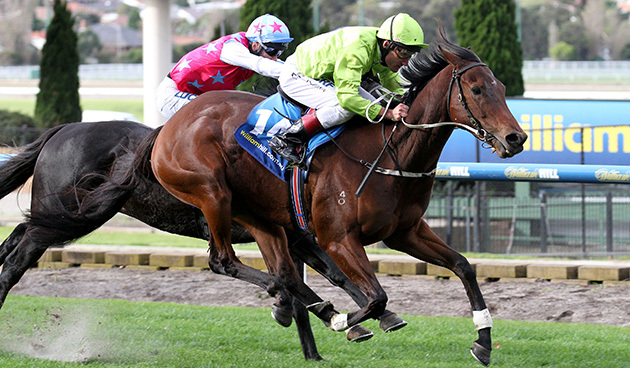 The 77th arrived last Friday when Sperry claimed the LR Michael Seely Memorial (1600m) at York. Sheikh Hamdan’s progressive filly holds a Group 1 nomination for the Coronation Stakes at Royal Ascot. That performance followed Shamardal’s Group 1 wins with the John Moore trained duo Able Friend and Dan Excel earlier this month. Able Friend is rated the world’s best racehorse after trouncing his rivals in the G1 Champions Mile at Sha Tin. 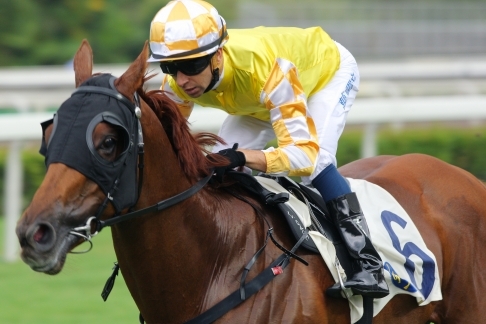 The strapping chestnut didn’t come off the bridle for jockey Joao Moreira at Sha Tin. Trainer John Moore and owner Dr. Cornel Li will give him the chance to win a fifth Group 1 at Royal Ascot next month. Shamardal (Giant’s Causeway) shuttled to Australia until 2010 and sired 4 of his 13 Group 1 winners out here headed by Epsom Hcp winner Captain Sonador. He retired to stud in Queensland and is making a big impression with his first two year-olds this season, however, he died before they hit the track. Loup De Vega is another Shamardal stallion unavailable to local breeders in 2015. His first crop are also up and winning this season but he won’t be shuttling from Ireland this year. Puissance De Lune (Ire) is ready to fill the breech at Swettenham Stud for an introductory service fee of $11,000 (inc gst) this year. Lifetime breeding rights are also available for $25,000. He won the G2 Blamey Stakes (1600m) at Flemington and G2 Lawrence Stakes (1400m) at Caulfield as well as finishing second in the G1 Makybe Diva Stakes and G1 Turnbull Stakes before injuring a tendon when sent out favourite for the 2013 Cox Plate. Puissance De Lune is a half-brother to the dam of Group 1 filly Rizeena who won last year’s G1 Coronation Stakes at Royal Ascot. Their second-dam is a sister to Serena’s Song who was the Champion 3YO Filly of her generation in the USA winning the G1 Beldame Stakes, G1 Hempstead Hcp and G1 Haskell Invitational. For further information and bookings to Puissance De Lune, please call Sam McMillan on 0437 666 281 or Chris Belli on 0417 514 552. Eliza Park International champion Bel Esprit sired his 500th individual winner on Wednesday. He passed the milestone when Another Girl flew home to win her maiden at Ipswich and then made it 501 in the following race with odds-on favourite Maraska. Bel Esprit was represented by his first winner back in October 2006 when Gabbidon broke her maiden at Murray Bridge. He sired her from Scenic mare Eliza Park! It’s been some ride for Bel Esprit. He’s notched 7 successive Victorian sires’ titles, equalled the all-time Australian record for individual winners (155 in 2012-13) while siring 100 plus individual winners every year for the past five seasons. And he also gave us Australia’s greatest racehorse in Black Caviar. Well done Bel – we’re looking forward to the next 500! 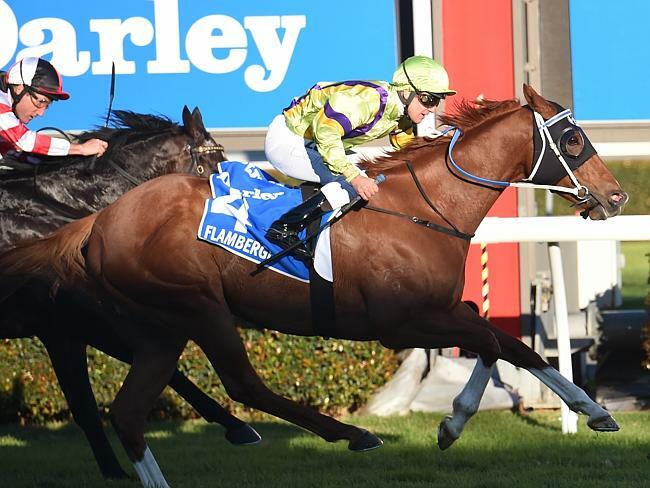 Flamberge has firmed dramatically in pre-post markets for the G1 Stradbroke Hcp (1400m) next month after his brilliant victory in the G1 Goodwood (1200m) at Morphettville. The Contract Racing sprinter led home a Victorian trifecta ahead of Lord Of The Sky and Under The Louvre on Saturday. Bookmakers immediately tumbled his Stradbroke quote from $71 into $26. Contract Racing owners David and Jenny Moodie bred him from their multiple stakes winning mare Razor Blade (Blazing Sword). She has also foaled the Flemington stakes winners Curtana (Exceed And Excel) and Sunburnt Land (Scenic). The Group 1 victory came just 24 hours after David Moodie was named Chairman of Racing Victoria. Jenny is a committee member of Thoroughbred Breeders’ Victoria. Redoute’s Choice Group 1 winner Hampton Court has been retired and will join the Spendthrift Victoria roster at Romsey. Hampton Court is the first Australian-bred stallion for its inaugural line-up following USA shuttlers Jimmy Creed (Distorted Humor), Warrior’s Reward (Medaglia d’Oro) and Can the Man (Into Mischief). Hampton Court (Redoute’s Choice – Roses ‘n’ Wine by Broken Vow) was a $500,000 buy at the 2013 Inglis Easter yearling sale for Gai Waterhouse on behalf of a syndicate that included James Packer, Alan Jones and breeder Milburn Creek Thoroughbreds. He won the LR Dulcify Stakes (1600m) last October and followed up with a signature victory in the G1 Spring Champion Stakes (2000m) setting a new course record of 2.00.19s for the distance at Randwick. Redoute’s Choice sired him from Canadian mare Roses ‘n’Wine (Can) who won the LR Algoma Stakes (1700m) at Woodbine. She is related to Melbourne Cup legend Makybe Diva. Hampton Court will participate in Spendthrift Victoria’s “Share The Upside Program” at a fee of $11,000 and at $8,800 on a standard live foal fee. Penang Hall improved his own weight with the addition of blinkers to win the Carnation Hcp (1000m) at Sha Tin on Saturday. The speedy son of Bianconi ranged up to the leaders linking up with the course proper and then accelerated to a two length victory clocking 56.86s. He went out a $5 second favourite despite finishing among the tailenders on debut in March. Bianconi (USA) stands at Ridgeview Park in Muskerry East and his Hong Kong winner is the first foal of Susie Mine (Encosta de Lago) who won 10 races for part-owner and trainer Brian Mueller. She is a half-sister to Exceed And Excel stakes performers Outdo and Miraculous Miss. Mueller also bred and trains his unraced three year-old brother Kingsgrove who hasn’t been seen since winning a Strathalbyn trial in October.